Since its release at the start of the year, Treasure Islands, Nicholas Shaxton's scathingly clinical critique of international finance, has attracted a huge amount of attention. In an exclusive interview with Ceasefire's deputy editor Musab Younis, Shaxson addresses some of the pressing questions raised by his book. 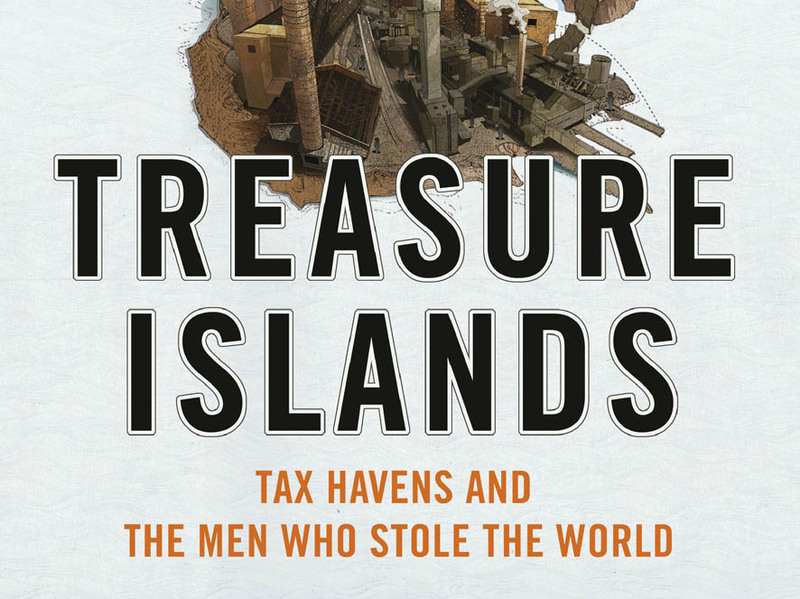 Since its release at the start of the year, Treasure Islands, Nicholas Shaxson’s scathingly clinical critique of international finance, has attracted a huge amount of attention. In an exclusive interview with Ceasefire‘s deputy editor Musab Younis, Shaxson addressed some of the pressing questions raised by his book. MY: What has surprised you the most about the reaction to Treasure Islands? NS: There has been a huge reaction to the book – almost all positive, and often glowing (See here, for example). I’d been expecting more snarling, vitriolic attacks from tax haven interests, and at least so far they haven’t really materialised. That’s the biggest surprise, I guess. One other thing – it’s not really a surprise – is that in all the many reviews and comments about Treasure Islands, nobody has turned around and said I’ve got my facts or my analysis wrong. MY: You write about the influence and power large corporations, and some Western governments, have in countries in the global South. How free are poor countries to regulate and tax corporations and prevent illicit financial outflows? Why have some been able to do this better than others? NS: Poor countries (though rich ones suffer from this too) are incredibly constrained when it comes to taxing and regulating multinational corporations and mobile capital. This is because of the standard threat: ‘if you tax or regulate us too much, we’ll go offshore,’ and too often countries capitulate. You will find that developing countries are particularly prone to handing out tax holidays and special tax-free zones – which even the IMF admits are especially pernicious on their tax revenues. Corporate tax revenues are especially important for developing countries because they usually find it extremely hard to tax their (majority poor) populations. And if they can’t tax their corporations then they have to rely more on aid – with all the problems that come along with that. In many poor countries, the ruling elites tend to be the ones that benefit most from offshore secrecy and impunity, so it’s often very hard to get them even to ask for improvements. 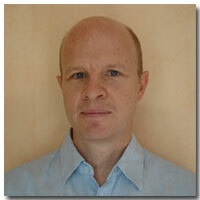 This poses a problem of legitimacy to those seeking to find solutions at a global level. Some countries are working harder than others to address the issues – currently India is making a lot of noise about confronting illicit financial flows and ‘black money’ as it is popularly known there, though it’s not clear how far they will go with making real changes. One reason for the activity there is that people have become aware of the scale of the problem and protests have spilled onto the streets, and on quite large scales. This – popular mobilisation – is the absolute key to change. And this is why large-scale mobilisation is needed, around the world. The uncut movements in the UK, the US and elsewhere are a good start, on one aspect of the problem. Much more is needed. MY: Why has the OECD proved so ineffective at regulating tax havens? NS: It’s pretty simple really. The world’s biggest tax havens, or secrecy jurisdictions as they are sometimes known, are big OECD countries or their dependencies. There are different ways to measure where the world’s biggest tax havens are, but on secrecy the best objective measure is the Tax Justice Network’s Financial Secrecy Index. It shows that the biggest secrecy jurisdictions (tax havens) are the United States, Luxembourg, Switzerland, the Cayman Islands, the United Kingdom and Ireland. Any systems that attempted to crack down seriously on secrecy or other tax haven characteristics at a global level are opposed, and usually cut down, by financial sector interests in those countries. So the game has been to give the appearance of a crackdown, while doing very little in practice. MY: Governments often claim they cannot regulate tax havens without international agreement. How far can one country, such as Britain, regulate on its own? NS: Britain could do more than probably any country to make changes to clean up the offshore system. This is for two main reasons. First, because Britain (notably that part of it which is the City of London) is a tax haven in its own right. A lot of others are British commonwealth countries. All these places are partly independent from Britain, and partly controlled by it. When it comes to the financial industry, Britain has a lot of influence, and even control, in many of these places. But of course international co-operation would be far more effective. The trouble is, Britain works hard behind the scenes to curb international co-operation on these issues. MY: Do you think this issue will make it onto the electoral agenda during the next UK elections? NS: I think it will. I think that times of austerity are times when people start to take notice properly of the underlying issues that are affecting them and their families and friends. And I would add that until very recently, the world has simply not had access to this analysis of the offshore system as described in Treasure Islands. I wasn’t the first to describe it – the Tax Justice Network has played a major early role for a few years now, as did Raymond Baker’s book Capitalism’s Achilles Heel, but I think this is the first time the analysis has been put together in a single package. So this is new, and understanding of the importance of this is now growing fast. If the economy is still looking bad in the run-up to the next UK election – and my guess is that it will – then this will definitely be an issue. MY: Corporate law places primary responsibility on the directors of a corporation to ensure maximum profit and market share to shareholders within legal means. Is this, in itself, a problem? NS: That’s the argument that the corporations routinely wheel out. And it’s wrong for many reasons. We need to get away from this idea that tax is simply a cost. Tax is a distribution to society, out of profits. It is a payment in exchange for services provided that allow them to make those profits – the healthy and educated workforces, the infrastructure, the guarantee of contracts and the rule of law – and so on. Those companies that engage in tax avoidance are engaging in economic free riding – they are taking the benefits from a country without paying for it. This is not only unfair, but it is economically harmful, undermines respect for the rule of law, and distorts markets. It is multinationals that use the offshore system to avoid tax, and they can therefore out-compete smaller businesses on a factor that has absolutely nothing to do with real productive efficiency, and everything to do with transferring wealth away from taxpayers and towards corporate owners. So here you have a system where the smaller players – which are typically the innovators and the job-creators – are squeezed out for no good reason, and the multinationals – which are typically in a position to build up market power and oligopolistic (or even monopolistic) positions are in a position to reap what are effectively subsidies. Anyone worried about the power of big corporations should be concerned with offshore. And this is especially, especially true with respect to financial corporations. Goldman Sachs, Barclays and Citigroup are very much creatures of offshore. Also, nowhere in the world does company law require directors to take actions that are not disclosed to their shareholders. But when companies are engaged in tax avoidance, they almost uniformly aren’t prepared to reveal what they are up to, to shareholders or the wider public. Your question at the end of the day points to the fact that the offshore system is the great faultline in global markets. MY: The Tax Justice Network argues that action on international taxation is the key to lifting millions of people out of poverty. Why have many aid agencies and NGOs avoided campaigning on this issue? Is this changing? NS: This is definitely changing. A lot of NGOs in the UK and France in particular are now engaging on this. ActionAid, Christian Aid, Eurodad, CCFD have been particularly active; others like Oxfam are becoming more interested. But still, there’s a problem. Some NGOs which depend heavily on UK government funding have found it quite hard to get engaged: they are often subtly pressed to focus on aid and leave this other stuff alone. The tax haven of Jersey has crudely threatened one NGO with withdrawal of funding if it doesn’t stop its tax haven research and advocacy. To its credit, the NGO resisted. In the U.S., there’s also been a problem getting people interested, because many of the big development NGOs like the Centre for Global Development in Washington D.C. are heavily involved with organisations such as the World Bank, which has worked hard for many years to push against anyone trying to bring tax havens and the offshore system into the development debate. Last night I had dinner with someone who described being shouted at by people from the IMF when he tried to bring this stuff to their attention. They absolutely, completely, don’t want to know about this stuff. And this stance spills out to the development community in Washington more generally. And that’s a very, very influential group of NGOs. So there’s an awful lot of work to be done there to explain to people why this stuff matters. Once again, boots on the streets are the best way forward here. We will get there, but it’s going to be a long, long haul. MY: Thank you for speaking to Ceasefire. Musab Younis is Ceasefire‘s Deputy Editor and a postgraduate student at the University of Oxford. Excellent interview, breaks down the issues very well.